The Ames Stradivarius violin is believe to have been handcrafted by Antonio Stradivari in 1734. It’s named after the 19th century violinist, George Ames, who owned it up until Polish-born American violinist Roman Totenberg bought the violin for $15,000 in 1943. The violin is now estimated to be worth $5 million US dollars. The Ames was unfortunately stolen by from Totenberg in 1980 while it was kep in his office at the Longy School of Music of Bard College. It was later discovered that the college’s director and Totenberg’s former student, Philip Johnson, was the one who stole the violin. The Violin was eventually recovered by the FBI 35 years later when Johnson’s former wife discovered the Strad in his belongigns and attempted to sell it. After a dealer identified it and contacted the FBI, the violin was returned to Totenberg’s daughters Nina Totenberg, Amy Totenberg and Jill Totenberg in August 2015. The rare Stradivarius Violin then spent the next two years living at Rare Violins of New York, undergoing restoration by expert craftsmen. In March 2017, renowned violinist and former Roman Totenberg student, Mira Wang, performed with the rare Strad on stage at a private concert in New York for the first time in 37 years. 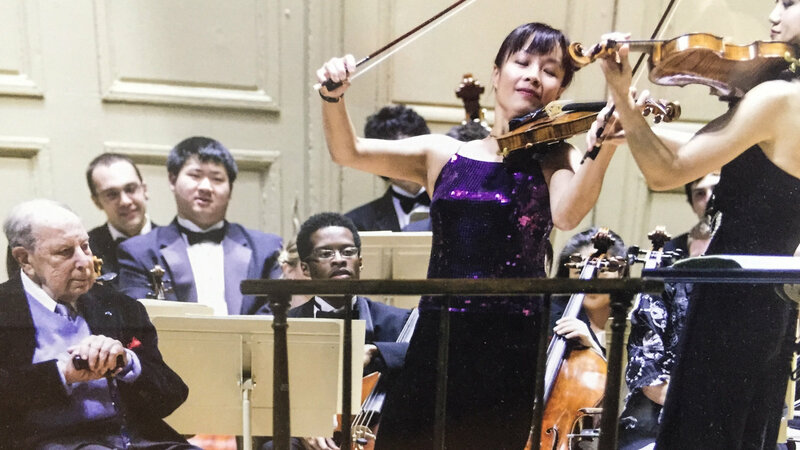 See the video below to learn more about Mira Wang and her connection with the Ames Stradivarius.